A conceptual rendering of Passport Health Plan's planned Health and Well-Being Campus at 18th and Broadway in West Louisville. Passport plans a four-story office building for its headquarters, a parking garage and about a dozen other buildings that could be apartments, retail or other mixed uses. LOUISVILLE, Ky. (WDRB) – Passport Health Plan has received $24 million in financing toward its “health and well-being campus” under construction at 18th and Broadway in west Louisville. 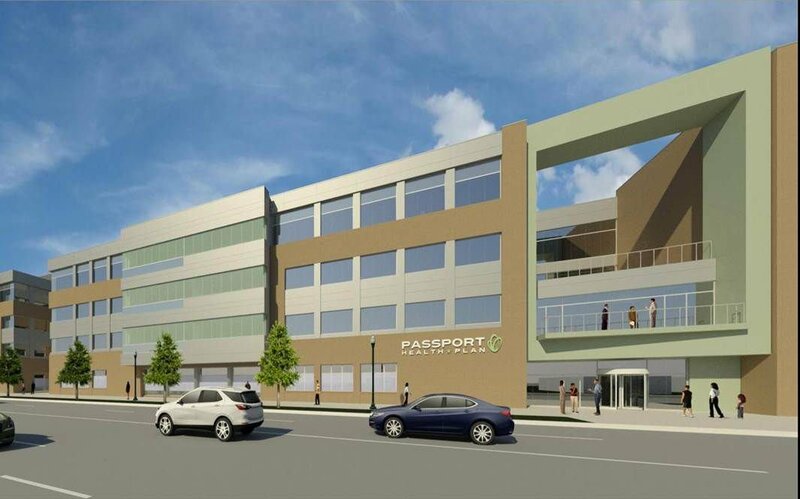 Passport, a nonprofit that provides Medicaid health coverage to low-income residents in the Louisville region, is building a four-story office building for its headquarters and connected parking garage on the site. The building, which could house up to 550 employees, and parking garage are expected to open in 2020, while another dozen buildings could go up on the 20-acre site over the long term. 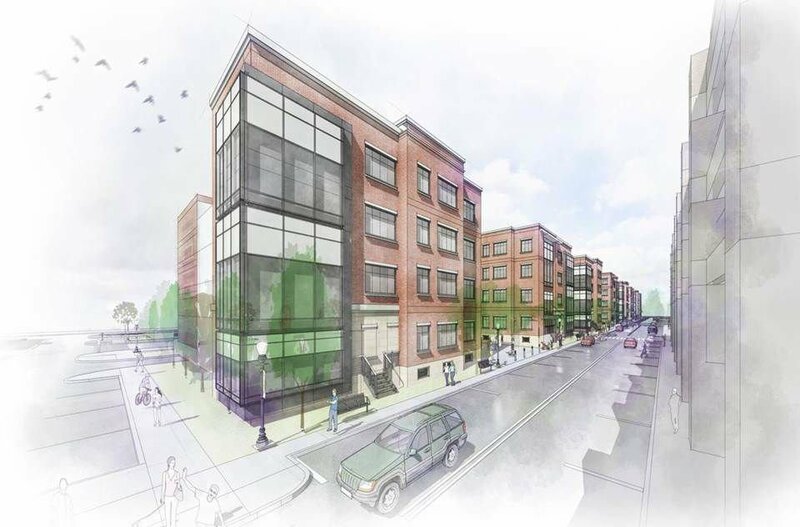 Conceptual renderings show housing, retail and “mixed use” buildings. Passport spokesman Michael Rabkin was unable to give a cost estimate for the total project. The $24 million in financing comes from investors seeking federal New Markets Tax Credits, which are tax breaks for investments in low-income areas, Passport said in a news release on Wednesday. The campus will be help Passport’s members “develop job skills, acquire education, and ultimately become employed and have access to private insurance,” Passport CEO Mark Carter said in the news release.